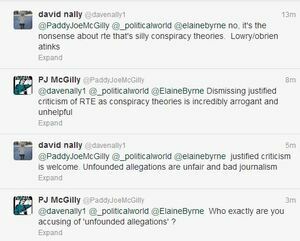 Managing editor of RTÉ Current Affairs David Nally, top, defends the level of RTÉ’s coverage of the Lowry Tape story in a letter to the editor in today’s Sunday Times, below. 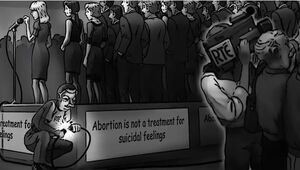 In his letter, among other things, Mr Nally points to a Six One News report on Friday, March 15, above. 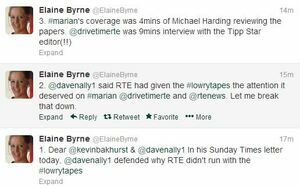 Elaine Byrne and Gene Kerrigan originally broke the story on February 24 in the Sunday Independent. 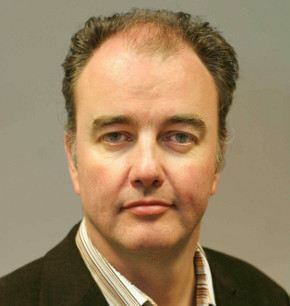 Their story indicated that Mr Lowry had paid £248,624 to Kevin Phelan in August 2002. 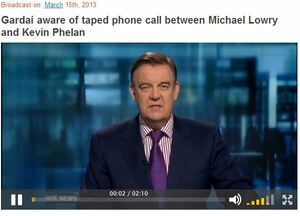 The Moriarty Tribunal had only heard about a £65,000 payment made by Mr Lowry to Mr Phelan in April 2002. 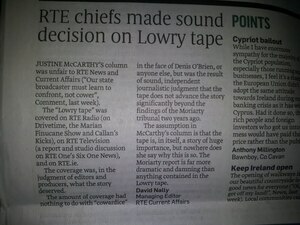 In today’s letter, Mr Nally contends that the Lowry Tape “does not advance the story significantly beyond the findings of the Moriarty Tribunal”. 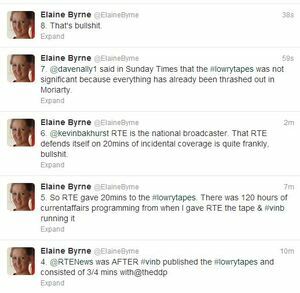 Separately, but also in the Sunday Times, Justine McCarthy reports that RTÉ executives were told that tapes existed last October. 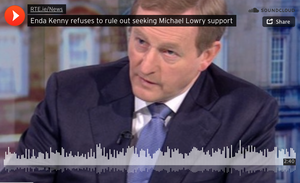 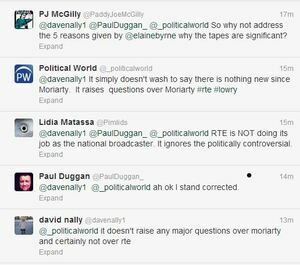 Posted in Misc and tagged Lowry tapes, RTE at 3:25 pm on March 31, 2013 by Broadsheet.